Venue│The 22nd International Conference on "The Application of High Magnetic Fields in Semiconductor Physics and Nanotechnology（HMF-22）"
There are many direct flights from overseas to Narita international airport (Tokyo) and Kansai international airport (Osaka). Make another domestic flight to new Chitose airport. Flight time to new Chitose airport is about 90 minutes from Narita international airport and 110 minutes from Kansai international airport. There is one flight at Tuesday, Wednesday, Saturday and Sunday to Beijing capital international airport (Beijing) from new Chitose airport. Flight time is about 5 hours. Taxis are also available at new Chitose airport. 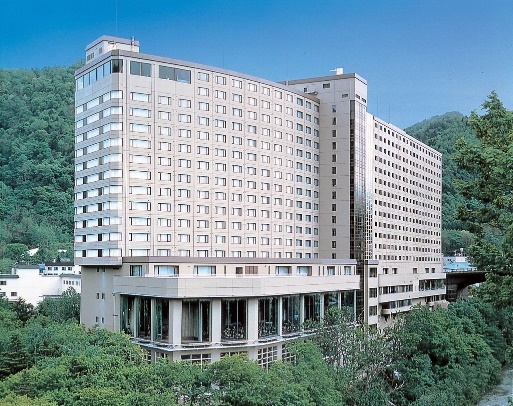 The fare to the Jozankei View Hotel is about 19,000 Yen. Time to Jozankei View Hotel is about 100 minutes. Shuttle-bus service from Shin-Chitose airport to conference venue will be arranged every 1-2 hours during 13:00-21:00 on July 24, Sunday. Fill in a form of your arrival time and flight code in the registration page. Come to the meeting point on domestic arrival lobby by 15 minutes before the scheduled departure time. Due to strict time limits on bus parking at the airport, buses will leave on time.